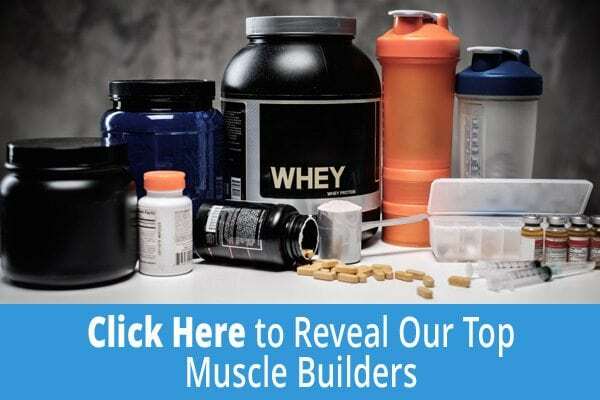 Can You Grow Muscles Without Protein Shakes? If you couldn’t grow muscles without protein shakes, then we would have been a scrawny race. Sure, if you are working out then protein shakes will help you achieve those muscles you are working for, but you can also get a substantial amount of protein through a planned and balanced diet. So how do you bulk up without the use of protein shakes? I will tell you how, through dedication, hard work and a healthy, protein-rich diet. In order to gain muscle mass, you need to be increasing your calorie intake, and those calories should come from a nutrient rich diet. Instead of eating 3 large meals, try eating 5 moderate meals, with healthy snacks in between. The calories you are after aren't the ones you get from candy, chocolate and fries. You need to ensure your diet is rich in complex carbohydrates, good fats, vitamins, minerals and of course complete proteins. Why Are Protein Powders So Popular? The reason protein shakes are effective is because they provide us with a high level of protein, that is easily digestible and can be used by the body to build and repair muscle tissue. However, protein is found naturally in many food sources. When choosing what foods to incorporate into your diet in order to make it protein rich, you need to consider if they are high in complete proteins or if it is a source of incomplete protein. Complete proteins contain all of the 9 amino acids that are essential to your body’s growth and regeneration. Incomplete proteins only contain some of these 9 amino acids. Foods that contain complete proteins include red meats, poultry, eggs, fish, cheese, yoghurt, milk and soy products. Foods that contain incomplete proteins include grains, legumes, nuts and seeds. It is a good idea to have a balanced diet that contains foods with both complete and incomplete proteins, as these different foods also have many other nutritional benefits that will aid in the muscle building process. However, if you are a vegetarian and are relying on grains, legumes, nuts and seeds, then it is even more important that you combine these different food sources, to ensure you are getting all 9 of the essential amino acids. Growing muscles isn’t just about what you put into your body; it’s also about how you work your body and how you train. You can’t expect to grow muscles without putting in the hard work that is required. Sure some people seem to just be naturally born with that muscular physique, but for the rest of us, we need to work at it. Everyone has a genetic muscle growth potential. Unfortunately, it is almost impossible to tell what yours is, but if building muscles is a new goal for you, then you will definitely be able to achieve results. When working out in order to gain muscle mass there are a few main pointers to be aware of. Firstly, train at higher intensities, for shorter periods of time. This will ensure that you are really stressing the muscles. Secondly, minimise your cardio. Cardio is still important, but try to curb it to 20 minutes a day. This will keep your cardiovascular system nice and healthy, whilst minimising your use of calories that are needed to power you through your muscle building exercises, as well as fuelling the process of tissue repair. Finally, make sure you give your body time to recover, as the building and repairing of muscle tissue happens when the body is resting. You can do this by alternating the body parts you are working on for different days, and ensuring you get rest days as well.